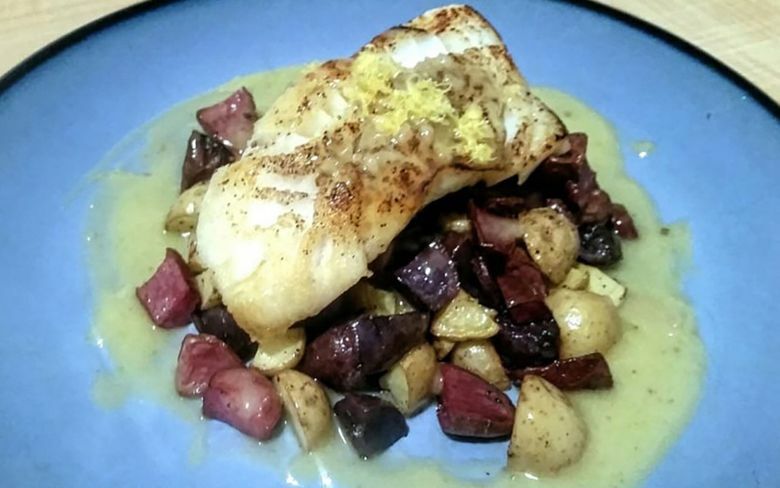 This is a modern twist on a simple French classic beurre blanc or white butter sauce. In this variation, we are going to be using some cannabis butter, which not only adds a nice kick, but a subtle flavor as well. Cannabis mac and cheese? Pretty please! While you would normally use white wine for this, we decided to go with some Champagne and a bit of citrus for a slight bite that stands out against the richness of the sauce. The trick to this sauce is low heat and a lot of attention. Once you reduce the wine, shallots and lemon juice, you need to cut the heat down to low so that it’s just warm enough to melt the butter. If it’s too hot, the sauce will break. If your cannabis butter is too strong, you can always substitute part of it with normal butter. This sauce goes great with light meats such as fish and poultry but can also be used with pork. Try using an orange for the citrus for a slightly sweeter variation. Decarboxylate 7 grams of finely ground cannabis at 225 degrees for 20 minutes in a tightly sealed, oven-safe container. Put cannabis in lidded mason jar or vacuum-sealed bag with two sticks of butter. Heat in water bath just under boiling for at least 1 hour. Strain and chill to use in recipes.